Whether you’re looking to mask flaws or trick the eye, ceilings offer you great design opportunities. And if you’re looking to create some visual rhythm in your residential or commercial space and bring a premium look to it, then we have something for you – our selection of brushed ceiling solutions. Panels which have an incredibly rich and lively look, we have brushed ceilings which are extremely decorative and attractive and will bring a youthful vibe to the setting. A great way to create drama and bring some elegance to the setting, these brushed ceiling panels look absolutely chic and will be define your space till times to come. Ceiling solutions which can hide a multitude of sins and ugliness, if you’re looking for a highly appealing and polished look for your space then nothing comes better than these brushed ceiling panels. Whether you’re looking for distinct solutions for your ceiling or want to make your room a little bit special and standout, these brushed ceilings will make your space more interesting. 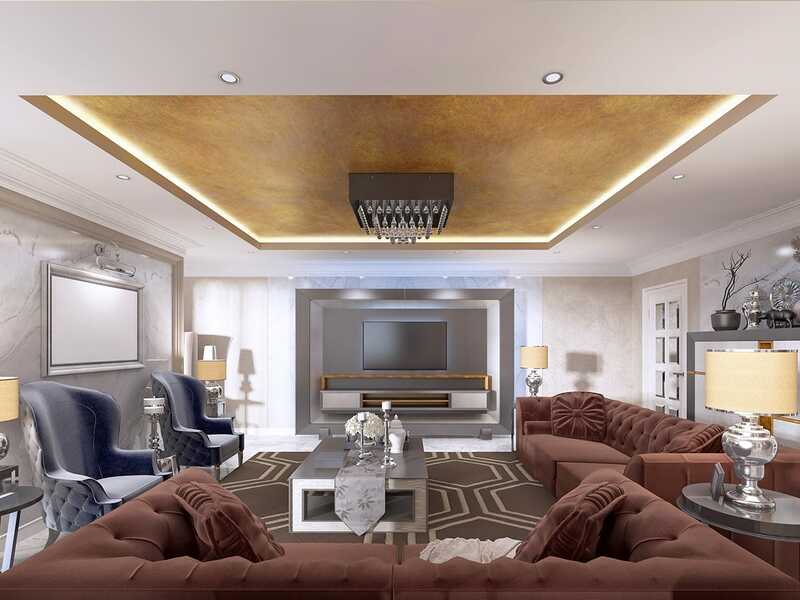 Available in a range of colors, styles, sizes, trends, finishes, patterns and thickness, we have brushed ceiling solutions which will take your space to an altogether different level. Perfect for installation in residential spaces and commercial spaces including schools, theatres, offices, hospitality spaces, retail, airports, studios, healthcare facilities, places of worship, conference rooms, and others, these brushed ceilings will give you a chic, modern space which will impress everyone. Crafted from premium quality materials, our brushed ceiling panels have a rich, delightful look which will simply light up the setting. Easy to use, clean and maintain, our brushed ceiling panels are free of harmful substances and chemical irritants and can also be created in custom sizes and styles. Lightweight, highly durable and inexpensive, these brushed ceilings are highly trendy and some of the most impressive panels around. One of the best ways to create an instant designer look in your home or commercial space, these brushed ceiling panels have an endearing antique look. From brushed nickel to tin, copper to other metals, our decorative ceiling panels will provide a classic look of traditional ceilings on a budget.